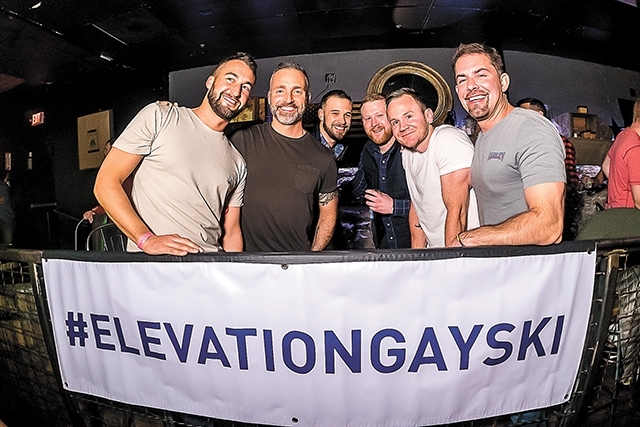 Elevation Gay Ski Week and Aspen Gay Ski Week draw GLBT skiers to Aspen, Colorado and Park City, Utah slopes. “Gay parties are the best parties,” Elevation Gay Ski Week producer Tom Whitman says with a wink. And that’s exactly what draws in GLBT skiers every year to the annual gay ski weeks in Park City, Utah and Aspen, Colorado. Whitman started producing gay ski week for Elevation, based in Mammoth Lakes, California before drawing in Park City. After 17 years in Mammoth Lakes and eight years in Park City, Whitman says gay ski week is heading to Tremblant, Quebec for the first time this year. 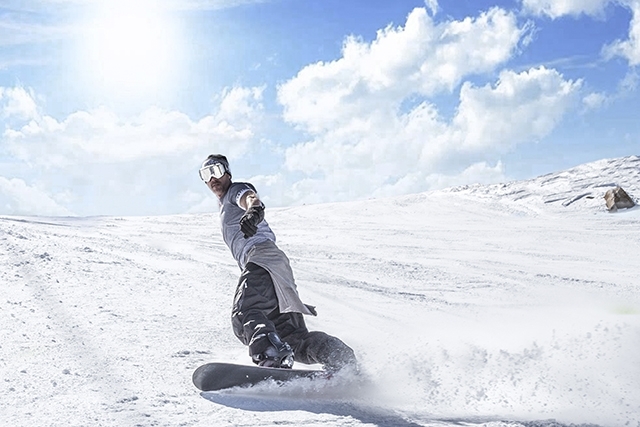 Today, Gay Ski Week offers après-ski and nighttime events every day of the week. In addition to the extremely popular skiing and snowboarding options, Whitman says they also offer snowmobiling, spa, shopping, great food, and much more. “Park City has some of the best restaurants of any ski town, from upscale to budget-friendly. And the same thing with lodging. You can go luxury with Main & SKY or Washington Schoolhouse, or you can stay with a lot of our Elevation attendees at our midrange host hotels the Peaks Hotel or the Yarrow,” Whitman says. If you’re interested in getting in on some gay skiing action but are working with a smaller budget, Whitman says there are also options for you. In addition to affordable options, Whitman says gay ski week isn’t just for the novice, either. If you’re a beginner, an expert, or anywhere in between, there will be something for you at gay ski week. Park City isn’t your scene? No problem. Aspen Gay Ski Week offers one of the liveliest, most unique ski experiences in Colorado. While Colorado is known for its avid skiers, Guttau says gay ski week is for everyone. Yes, even you non-skiers. “The most frequent comment I hear when people are considering attending Aspen Gay Ski Week is ‘I don’t ski,’ to which I say, ‘Many of the attendees don’t even ski!’ You can snowshoe to Pinecreek Cookhouse, one of my favorite winter activities, or on many of the trails around Aspen,” Guttau says. Additionally, there is plentiful shopping in many boutiques and art galleries, as well as first-class eateries that offer samplings. Guttau says ice skating, snowmobiling, and go dog-sledding are other popular options to enjoy the mountain scenery without the skis. Like Park City, Aspen has affordable options for those on a smaller budget. Guttau says some guests just attend the free nightly après-ski parties at the Limelight Hotel, but he also suggests buying the official pass, as it gets you into all of the nightly events. The biggest tip: do not delay in purchasing these, as the passes usually sell out, as well as individual tickets, he warns. Whether you’re a skiing guru, a bunny hill beginner, or just a member of the GLBT community looking for a fun, outdoorsy way to connect with others, Elevation and Aspen gay ski weeks will surely give you a party unlike any other. For tickets and other information about Elevation Gay Ski Week, visit utahgayskiweek.com. Visit gayskiweek.com for Aspen Gay Ski Week. Aspen Gay Ski Week takes place January 13-20, 2019, and Elevation Gay Ski Week takes place February 21-24, 2019. What are the dates? I plan my ski trips in August and September and would like to know dates. Hi Diane, Aspen Gay Ski Week takes place January 13-20, 2019, and Elevation Gay Ski Week takes place February 21-24, 2019. Hi Jim, Aspen Gay Ski Week takes place January 13-20, 2019, and Elevation Gay Ski Week takes place February 21-24, 2019.